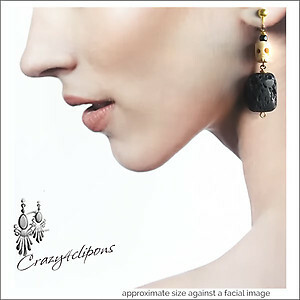 Features: Funky and organic so distinct yet so together. 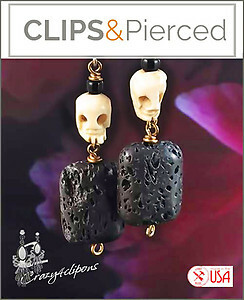 This pair of earrings combines a mini skull made of bone (no pun intended) and a square lave bead. Really funky and fun.